NEW! 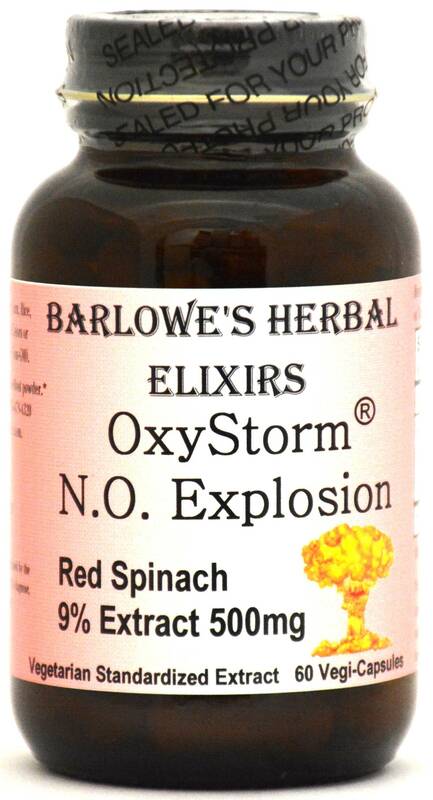 Barlowe's Herbal Elixirs now proudly offers OXYSTORM® N.O. EXPLOSION, a high potency standardized extract of Red Spinach (Amaranthus Dubius) which contains fifty (50) times the nitrate in Beet Juice and no Oxalates. This product greatly increases N.O. (Nitric Oxide) production, greatly increasing blood flow to all parts of the body! Bottled in Glass! No Stearates! No Fillers! No Junk! NEW! Barlowe's Herbal Elixirs now proudly offers OXYSTORM® N.O. 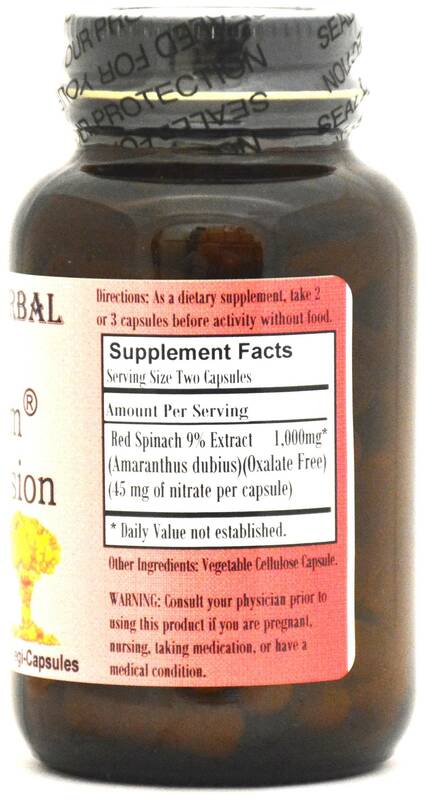 EXPLOSION, a high potency standardized extract of Red Spinach (Amaranthus Dubius) which contains fifty (50) times the nitrate in Beet Juice and no Oxalates. This product greatly increases N.O. (Nitric Oxide) production, greatly increasing blood flow to all parts of the body! Bottled in Glass! No Stearates! No Fillers! No Junk! The certificate of analysis (COA) of N.O. Explosion is shown above. OXYSTORM® N.O. EXPLOSION is one of the richest sources of nitrate there is. A patent-pending production process delivers the highest nitrate content ingredient from the leaves of red spinach, 9% or 9000 mg per 100 g, with more than five times the amount of nitrate as beetroot powder and more than 50 times that in beet juice. This product is 100% water-soluble, Oxalate free, sugar free and has a neutral pH. Additionally, it is an excellent source of potassium while being non-GMO and Kosher and Halal certified. CAUTION: This extract is generally safe, but it is potent and should be utilized with care. This product is for dietary use. If unexpected side-effects occur, discontinue use immediately! The above statements have not been evaluated by the Food and Drug Administration (FDA). This product is not intended to diagnose, treat, cure, or prevent any disease. DIRECTIONS FOR USE: Take two or three capsules an hour before activity without food. Blood levels of N.O. Explosion are highest approximately one hour after ingestion, but it does stay in the bloodstream for up to 8 hours. If taken on a daily basis, take one capsule in the morning and two capsules in the evening. For some people, dosage may need to be increased as results and usage amounts vary based on body type and weight.